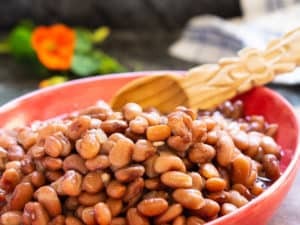 Standing here in front of the keyboard, thinking about how to describe these pretty little gems to you, on comes a crushing case of writer’s block. 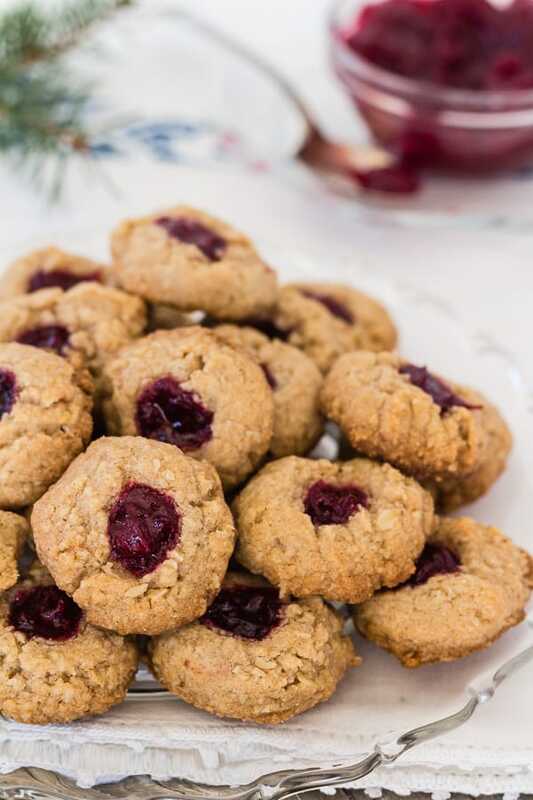 All I can think of is going to the kitchen and helping myself to a couple more of these addicting almond cranberry thumbprint cookies. Help! Happy muffintalk Monday! Today’s muffins are breakfast muffins, vibrant easy-to-make healthy Breakfast Egg Muffins with Parmesan, Spinach, and Tomatoes! A mix of eggs, fresh veggies, and salty cheese, cooked, sort of poached, in individual cups–call them savory personal custards. And guess what? 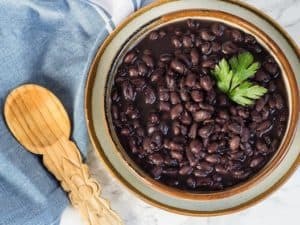 They’re cooked in the Instant Pot pressure cooker. 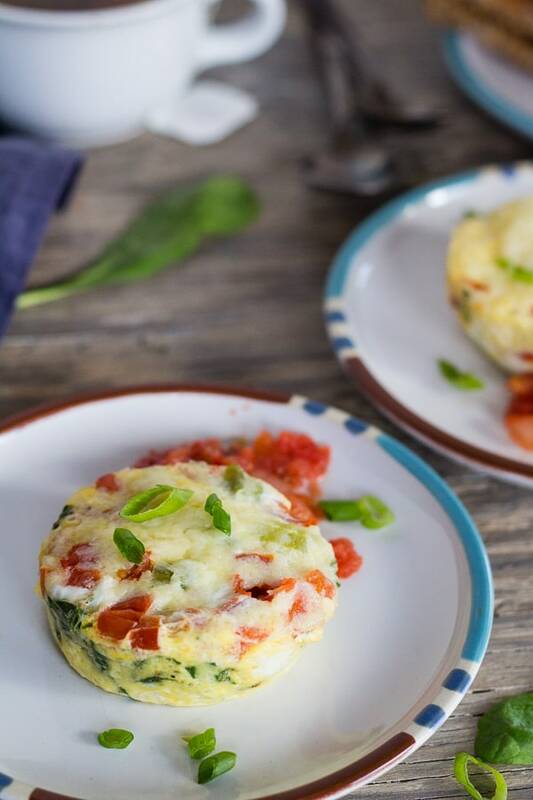 CLICK HERE to Pin Breakfast Egg Muffins with Parmesan, Spinach, and Tomatoes. Rich vegetables and vegetarian gravy baked under a golden garlic mashed potato blanket, this dish warms both tummy and soul. Vegan shepherd’s pie with savory mushroom gravy is stick-to-your-ribs hearty comfort food at its finest. 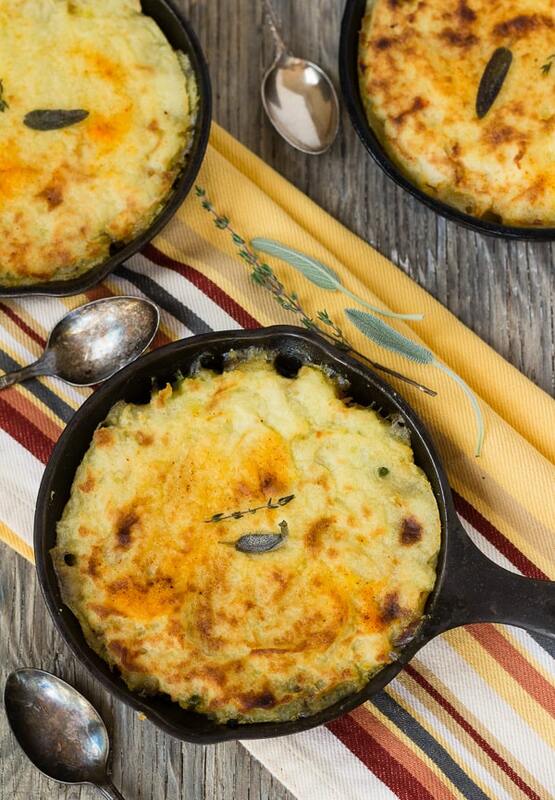 Like a cross between a pie and a casserole, shepherd’s pie was first an economical way to use up leftovers–simply dibs and dabs of meat mixed with gravy, topped with mashed potatoes, and baked until the potato “crust” turns golden. 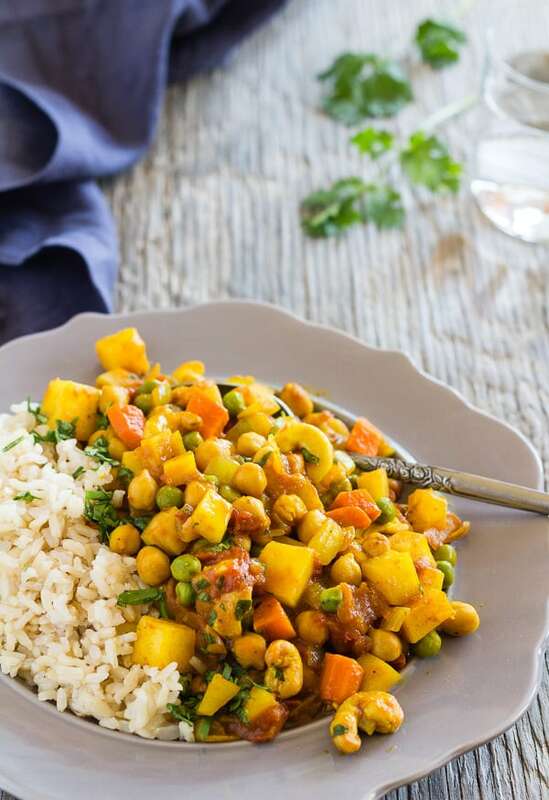 Generous in buttery toasted cashews and healthful turmeric, positively bursting with zingy ginger and garlic flavors, this colorful potato chickpea curry with pineapple is an outrageously delicious curry that gathers blue ribbon praises from family and company every time you bring it to the table! 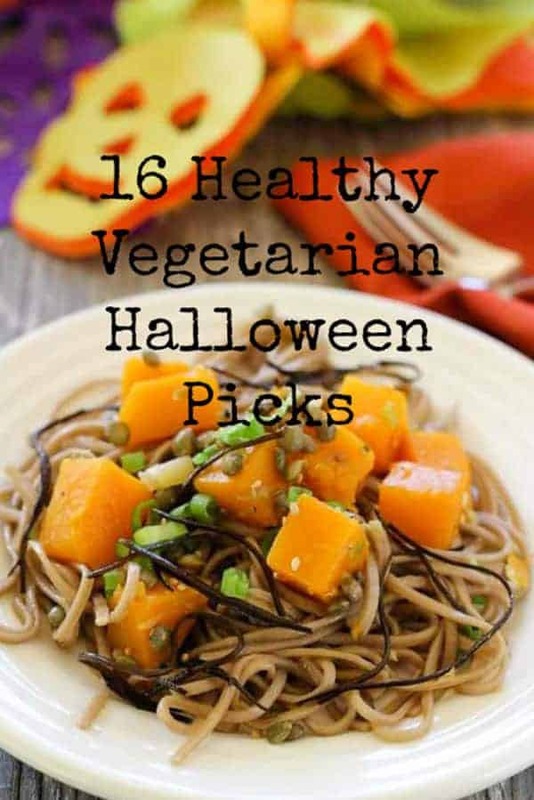 From bloggers around the world, for America’s third favorite holiday, here’s a spooky bunch–16 healthy vegetarian Halloween picks and treats, a tempting mix of ghost and goblin real food, some savory, some sweet! The thing is, I don’t even like Halloween. What a strange holiday. What are we celebrating? Free candy?